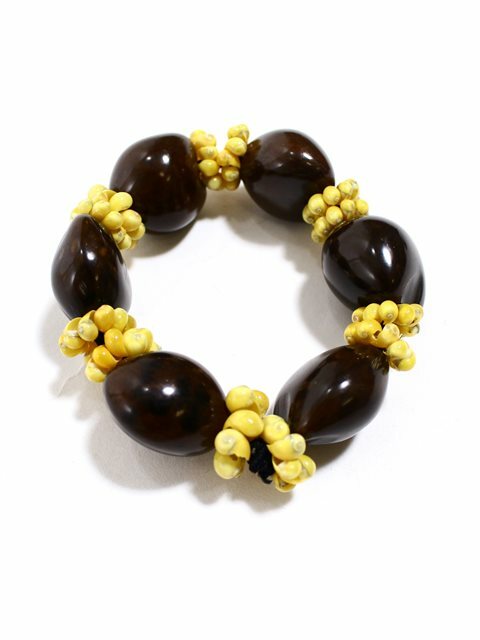 This kukui nut bracelet is made with the combination of brown kukui nuts and yellow braided mongo shells into a single beautiful bracelet. The string holding it together is elastic, which makes it very easy to put on and remove. White Plumeria & Anthurium Hair Clip 6.75"